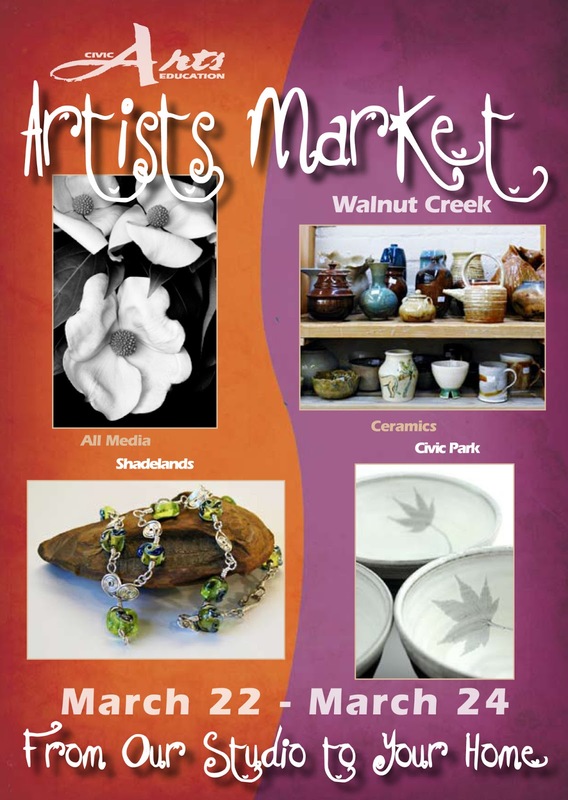 I'm participating in this spring's Artists' Market, a program of the City of Walnut Creek, California's Civic Arts Education that includes art work in many media by Civic Arts Education instructors and students. The Artists' Market includes two locations, Shadelands Art Center (111 Wiget Lane at Ygnacio Valley Road, Walnut Creek, CA) and Civic Park Studio E (1313 Civic Drive at Broadway, Walnut Creek). 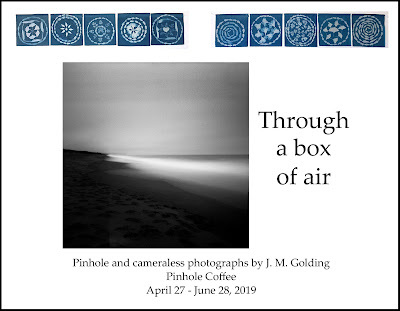 There is an opening reception on Friday evening, March 22, from 5:00 p.m. - 9:00 p.m., at Shadelands Art Center. The Artists' Market continues on Saturday, March 23 (10:00 a.m. - 7:00 p.m. at both locations), and Sunday, March 24 (10:00 a.m. - 6:00 p.m. [Shadelands] or 5:00 p.m. [Civic Park]).